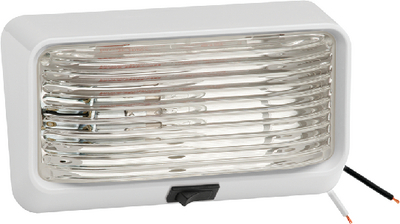 This compact exterior light with rocker switch is designed for surface mounting. The polypropylene base has a snap-in lens. Two wire construction, supply and ground. CSA approved. Measures 6" x 3-1/2" x 2"